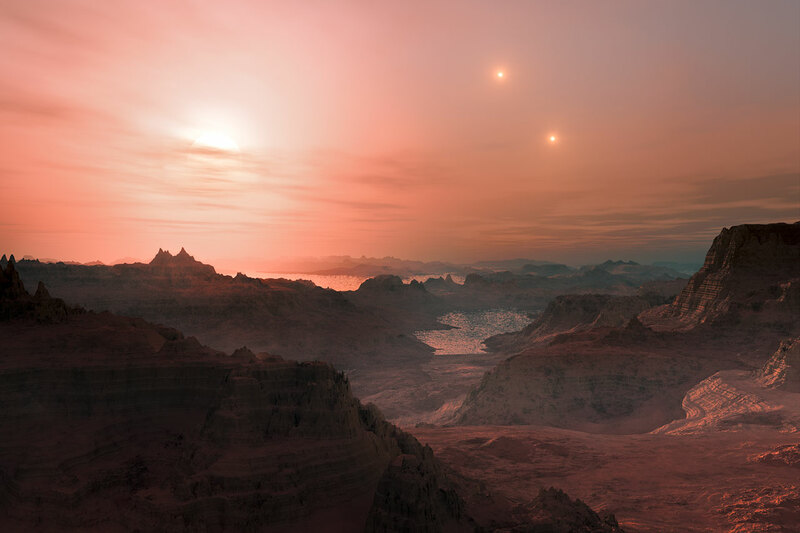 A new exoplanet has been found which seems to be right in the temperate zone around its star, ie not too hot, not too cold. This illustration is pure supposition, of course. It’s tens of light years away and is four times earth’s mass, so you’d grow old and die on your way there and weigh so much you couldn’t walk if you survived! Hah. Better take out travel insurance. 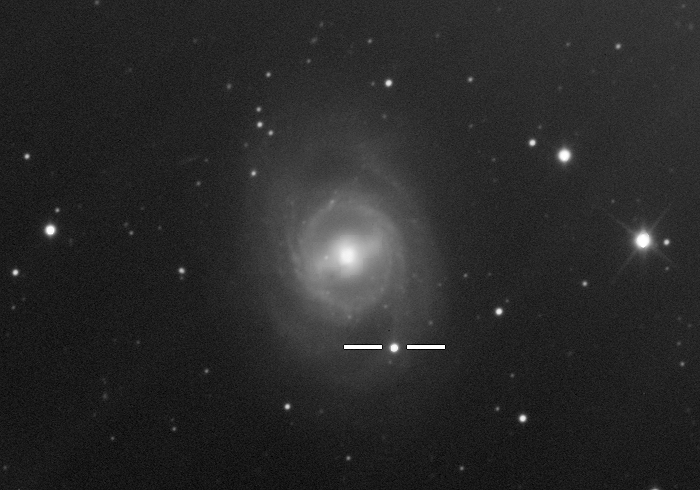 First, did you know there was a supernova a few days ago? Not surprising if you didn’t notice – it’s 37 million light years away, so it happened 37 million years ago and its light has just reached us. But it’s notable because it was seen right at the beginning of the explosion, so it’s being studied closely. Hard to imagine, isn’t it? But Scotland had a new record March max temperature on Sunday – 22.8C. Wow! Ireland is joining in – Belfast sweltered at 19.8C at 4pm, with cloudless skies in many areas. People in England and Wales were hitting the beaches. Health authorities are saying, Yeah, get out in the sun, you need the vitamin D.
At the same time, Britain is experiencing a drought. Rivers and streams are either dry or drying up. Birds and small animals are in danger. Water rationing is very near. Yet it’s only spring! Winter with all that snow has just finished. Very strange. However, silver linings and all that: if you wanted to visit Ireland, now’s the time. Clear “warm” weather, depressed economy, and high $A against the Euro would make it good for us. I read The Guardian on-line and so I read all about the UK economy and last week’s budget. The Conservative government is unbelievable. In the midst of Britain’s worst economic crisis, they’ve cut taxes for the rich by abolishing the 50% top tax rate! They’ve slapped VAT on bread, raising the price of a staple food for the poor, and cut the NHS budget by £500m, increasing waiting lists for, you guessed it, the middle and lower classes. They’ve also imposed what’s being called a “Granny tax”. Minnie had an unusual event yesterday. I gave her the usual meaty bone in the late afternoon and she went off to her usual spot to crunch it up. But after a while I wondered where she was and noticed she was lying down near the front fence with the boney thing in her mouth. She was taking much longer than usual to eat it, and only trying to chew it every minute or so. In between chews, she was gazing at the road, up into the sky, but not chewing. At first I was mystified, but then realised that the bone was stuck on one of her lower canine teeth! She couldn’t eat it because she couldn’t move it around her mouth. Never seen this before. I went out and used tongs to pull it loose. She was reluctant to let me, but it was easy, so she made short work of the remainder. First, ever get that constricted feeling on public transport? Ain’t that great? 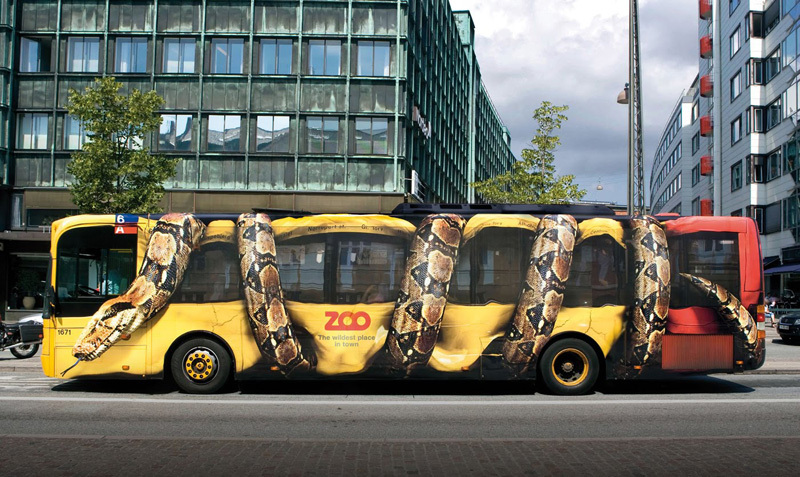 It’s advertising painted on a bus in Copenhagen, Denmark. I think I’ve mentioned coincidences before, but I had a beauty today. I’ve read about Cholmondeley before in a guide book or something. It’s a village in England. In typical English fashion, it’s pronounced Chumley. So quaint. It popped into my head just after rising this morning for some reason, as words often do, and I thought about it briefly in the shower before moving on to other things, like getting my desk inside and having to vacuum first, exciting stuff like that. I was so surprised by the coincidence I looked skywards and laughed involuntarily in sheer amazement. These things keep happening. I don’t think I’m psychic, but what the … ? Similarly, I reckon I’ve swallowed a juke box at some time in my life. Just about every waking moment I’ve got some song playing in my head. Sixties and seventies hits, mainly, and since I like 6IX that’s not surprising, but it’s so consistent! Luckily, it’s not too loud. Are you seeing the conjunction of the planets in the evening these days? 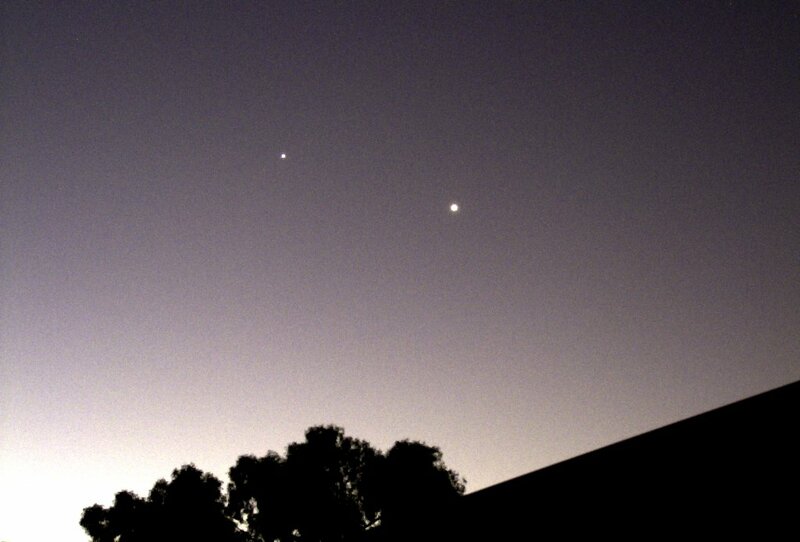 Venus and Jupiter are quite close together in the western sky just after sunset, very bright and easy to see. Venus is the brighter one on the right, even though it’s much smaller than Jupiter, because it’s much closer. Golly, is that the date? Must try harder. It’s hard to think of things to write about, but becoming an Aged Pensioner qualifies, I suppose. Yes, it all happened, and I was going to say it went smoothly, but Centrelink failed to return my original documents once again. I even include a stamped self addressed A4 envelope when I send them, but it does no good. I’ll just have to try again. Oh yeah, nearly forgot. The Bali villa is now open for rental and advertised on the web. Thanks to Ian and Naomi, who’ve put in an enormous amount of work. For the benefit of my interstate and overseas readers, if any, the heat goes on. The eastern states people (ABC News website) are saying it’s been such a cool and wet summer over there that they’re in danger of disbelieving Global Warming, but we can’t forget over here in the west. Last year here was the hottest on record, the winter was the warmest, and now we’ve broken the record since records started (1877) for the highest number of heatwaves in a row. A heatwave is defined here as more than three days of maxima over 35C, and we’ve had eight this summer. It’s not too bad now, 29C today, but I’ve still turned the aircon on for a while. It feels hot. And this is autumn! The Stirling City Council have announced that they want to do their bit for the environment by trashing 45 mature trees at the north end of our Charles Riley Reserve. These are beautiful decades old peppermints and tuarts that are the only shade for the area, used by many picnickers, school sports people walkers and dog walkers, including me. Why? The sporting people want the practice oval enlarged and yet another sports pavillion built, at a total cost of $5 million! (There are already two pavillions on this ground, one for football and cricket and an enormous one on the east side for athletics that seems to be quiescent most of the time. All these trees will be cut down! Under the council’s plans, every tree within the grassed area above will be uprooted and trashed! I took this shot in 2004, so the trees are bigger now, and they are used by magpies, crows, galahs, rosellas, black cockatoos, sulphur crested cockatoos, wattle birds, silvereyes, doves, peewits, mudlarks, kookaburras and other birds I’ve missed. The new pavillion is to be built about where the pine tree is in this shot. Oh, and dog walking is to be banned from the grassed area and restricted to an area behind those trees to the left! It just fries my brain that this could even be considered. The council say new trees will be planted. Yeah, sure – for future generations. They’ll take 20-30 years to grow enough to give shade. This area is used by school sporting people and people like me, but footballers have the councillors’ ears, so they’ll probably win. There’s a strong protest being mounted, but I don’t hold much hope. Gloom.